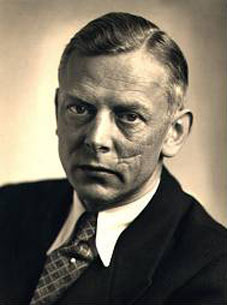 German chemist Adolf Butenandt studied under Adolf Windaus, and isolated and synthesized numerous sexual hormones. This greatly increased the scientific understanding of human sexuality and reproduction, and earned Butenandt the 1939 Nobel Prize for Chemistry (shared with Leopold Ruzicka). In 1929 he isolated oestrone, a form of estrogen, a hormone crucial to female sexual development also discovered by Edward A. Doisy at about the same time. In 1931 he isolated androsterone, a male hormone, and in 1934 he isolated progesterone and testosterone. His work with hormones made possible the development of contraceptive pills and the creation of cortisone, a synthetic medication used to treat arthritis. In 1959 he discovered Bombyx mori, a sexual attractant in silkworm moth and the first proven pheromone (chemical released by an animal that influences the behavior of others in its species). He also studied cancer and viruses. Evidence suggests that blood samples used in his research came from the victims at the Auschwitz concentration camp, and that Butenandt was aware of this as he conducted his research.